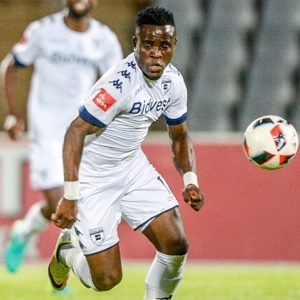 Cape Town - The Premier Soccer League (PSL) is set to take action against Bidvest Wits striker after a spitting incident in a game against AmaZulu on Wednesday. Usuthu midfielder Michael Morton was shown a red card after he retaliated when Mhango spat at him. Morton later issued an apology on his Twitter account. “No excuse for the reaction, but when a fellow professional spits in your face, it’s difficult to control your emotions,” he posted. Yesterday, PSL acting chief executive Mato Madlala confirmed the league was looking into the matter. “Yes, our prosecutor is on top of it and has been in contact with AmaZulu. Let’s wait and see what the investigation says before we comment further,” she said. On Friday, AmaZulu coach Cavin Johnson urged the league to take harsh action against Mhango. Johnson condemned the incident, saying it was the worst form of unsporting behaviour. “I have spoken to Michael and he has calmed down now. You can imagine how upset he was at the time this thing happened, and he realised he should have been cleverer than to retaliate the way he did, but he is okay now and life goes on. On another day his action could have cost the team,” said Johnson. He said it was now up to the league to act and show leadership. Previously, the league had punished players for incidents that escaped match officials. Former Kaizer Chiefs defender Morgan Gould was fined and banned for two matches for punching former Wits striker Getaneh Kebede four seasons ago. Gould was fined R100 000, of which R50 000 was suspended for 12 months on condition that he was not found guilty of a similar offence. In 2012, AmaZulu striker Mabhuti Khenyeza was handed a 12-month ban by the PSL disciplinary committee for spitting at linesman Zakhele Siwela when he was still playing for Ajax Cape Town. In 2008, Gary Goldstone was charged with assault and unsporting behaviour after he floored former Kaizer Chiefs striker Tshepo Bulu, who had to be rushed to hospital with a fractured nose and possible fractures to other bones in his face. Goldstone pleaded guilty and received a R50 000 fine, of which R40 000 was suspended for 12 months. He was suspended for two league games. He had to pay the cost of the disciplinary committee sitting and apologise to Bulu and Kaizer Chiefs. Now the ball is in the league’s court to see what action, if any, Mhango will face. 55.1 The league has the authority to take disciplinary measures in respect of any issues in any way connected to a member club, member club officials or players. 55.2.3 serious infringements justifying the extension of the duration of a match suspension incurred automatically by an expulsion. 56.3 The disciplinary committee may permit the proceedings to be conducted using, or including the use of, electronic media such as video or audio conferencing facilities where these are readily available or can be obtained and where it would prevent delay, save cost, be convenient and be in the interests of justice.